Build and maintain a beautiful aquatic environment with this aquarium kit. The Penguin® BioWheel power filter helps keep your aquarium water pure and healthy. 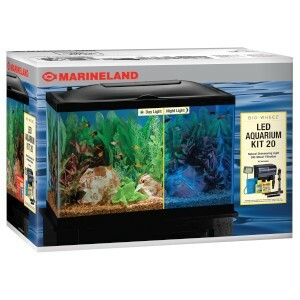 This Marineland® Bio-Wheel LED Aquarium Kit gives you what you need to create a beautiful aquatic environment. Ideal for small species of freshwater fish, this aquarium features an elegant glass construction that’s easy to clean and an LED lighting system that produces dazzling underwater light. This makes Wednesday the perfect day to add to your tank. It’s especially great for schooling fish; get you school half off! Is your tank ready for new fish? Bring us a sample of your aquarium water (about half a cup) and we’ll test it for free! Need some help with your tank? Check out our aquarium care sheets or stop by to talk with our trained staff. We’re here to answer all your questions, and make sure you save time and money and get the most out of your tank. fish of equal or lessor value is free. This holiday season is the best time to start a new hobby! you will save 20% on everything that goes in it! This includes gravel, filters, heaters, decorations, plants, even food! 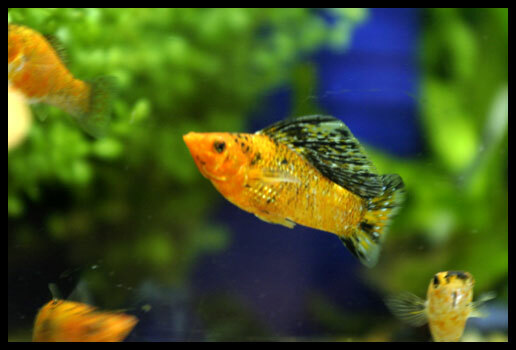 Check out our care sheets on aquarium maintenance, feeding, and so much more. Valid until December 31st, 2011, excludes sale items. 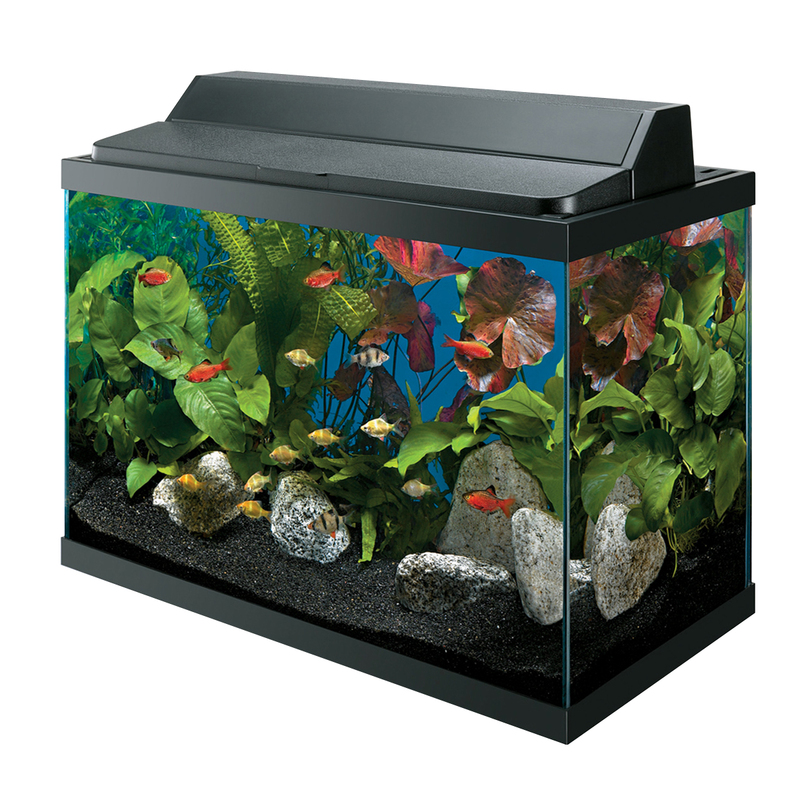 A GloFish Aquarium Kit is a truly unique aquarium. GloFish are genetically modified Danio fish that absorb light and reemit it, creating a dazzling, beautiful glowing effect. 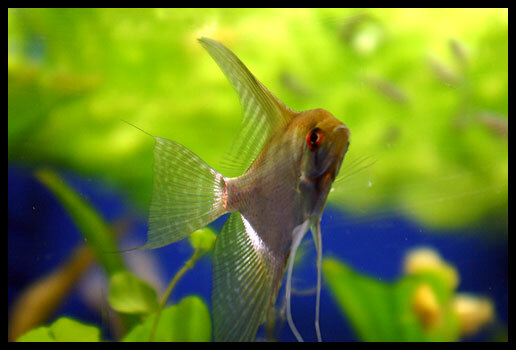 Each Tetra GloFish Aquarium Kit includes blue LED’s ideal for attaining this glow. Great for GloFish, Danios and Bettas! includes the powerful EDGE filter. Available in 6 gallons and the new 12 gallon tank. You must check these aquariums out!